Invite all your best girls over for Chinese take-out. A cute way to ask your friends to stand next to you during your special day is to make specialized fortune cookies with a sweet note inside such as “I can’t say I do without you. Will you be my bridesmaid?” This way when they open the fortune cookie after dinner they will be so surprised and honored to say yes! 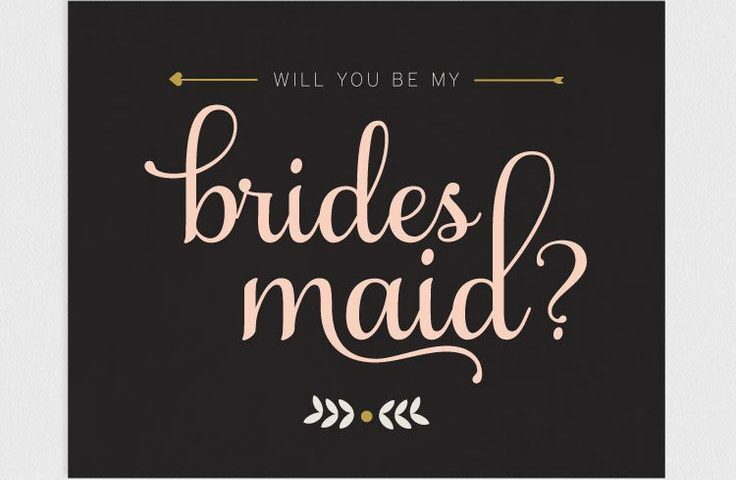 A very simple cost-saving way to ask your friends to be part of your bridal party is with a cute bridesmaid card. Even a simple idea like this will brighten up their day. 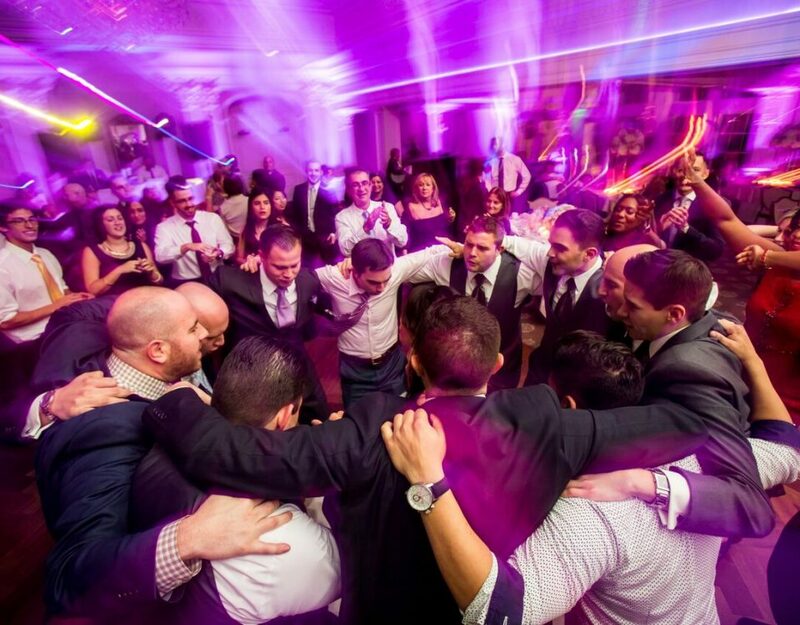 Letting them know why you chose them and how much they mean to you, it’s a sure way to have them by your said on your big day. Mail it to their house with a cute goodie bag for that extra touch. 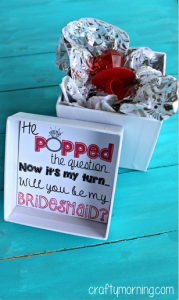 One fun idea that will make everyone laugh is to propose to your friends to be your bridesmaid with a candy ring pop. 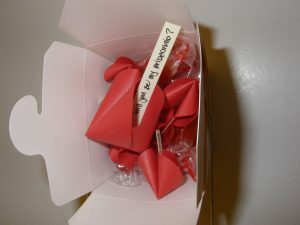 Leave a candy ring pop inside a jewelry box and on the inside of the box leave a cute saying such as “Now its my turn to pop the question. Will you be my bridesmaid?” This will keep your friends laughing with that flavored ring pop. How creative is that? They will be sure to say yes. Bring the scrapbook back! A super traditional and creative way to ask your friends to be part of your wedding is a personal scrapbook. Create a scrapbook filled with all the wonderful moments you and your friends shared together over the years. 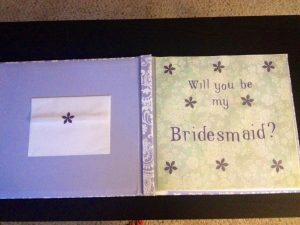 At the end of the scrapbook, pop the question and ask them to be your bridesmaid. This will make them feel extra special and they will be able to cherish the scrapbook you gave them for years to come. Giving a gift is a great way to pop the question. Jewelry is the ideal gift to give any girl. Custom bracelets that say bridesmaid on each of them and on the inside of the jewelry box leave a cute note to ask them. A necklace is another great jewelry piece they will adore. You can even make it personal by giving them each a necklace with the first letter of their names attached with a cute gold or pearl stone. 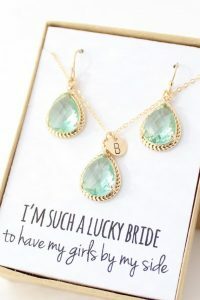 Now each girl will have matching jewelry pieces as a symbol of their bond with you and being your official bridesmaids! A great idea to ask your future bridesmaids is with a luggage tag. 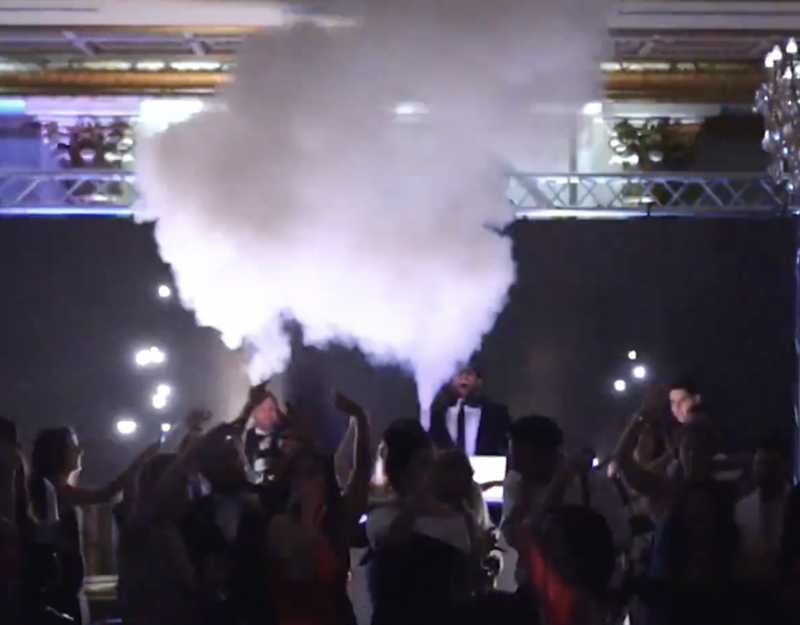 This is a very fitting idea if you’re having a destination wedding. 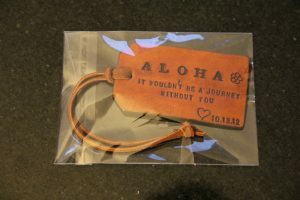 They can use the luggage tag you gave them during their destination to your wedding. Leave a cute on the inside of the luggage tag such as “I’m getting married but only if it includes you. 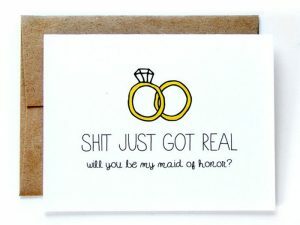 Will you be my bridesmaid?” They will adore their new luggage tag and be so surprised by your adorable proposal. Every girl loves cute sweets and chocolate! The sweetest way to ask your best friends to support you on your special day is to surprise them with special desserts that will melt their hearts. Macaroons are a popular dessert that can be delivered to anyone’s home. 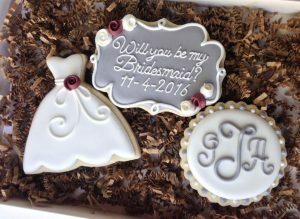 You can order customized macaroons with a cute saying to ask and can even have them delivered to each bridesmaid’s home. They will absolutely love your creative dessert idea. Sending a box of chocolate letters to ask is another great dessert idea that will leave them feeling honored to be your bridesmaid. Give them their own bottle! 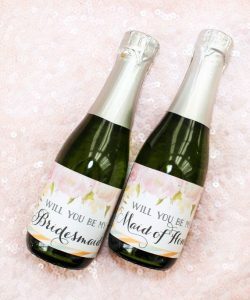 Another popular creative way to ask your best friends to be your bridesmaids are to customize each of them a wine or champagne bottle. Invite your crew over for dinner and say your just having a girl’s night dinner party. At each place setting on your dinner table leave their customized wine or champagne bottle with a cute bottle opener for each of them. On the bottle leave a personal photo of the both of you with the saying “will you be my bridesmaid?” They will adore their own personal bottle with their matching bottle opener that you got them. 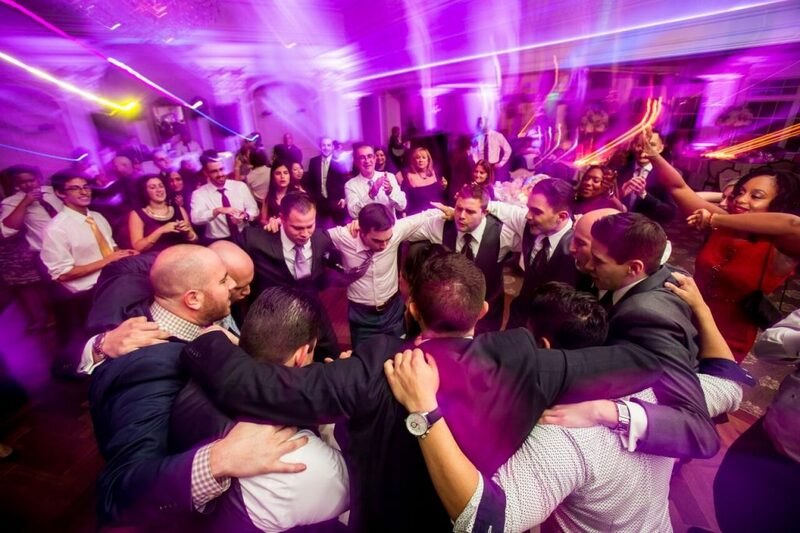 After they say yes pop the champagne, pour the glasses and let the celebration begin! These are just a few creative ways to ask your dearest friends to be your bridesmaids for your special day! 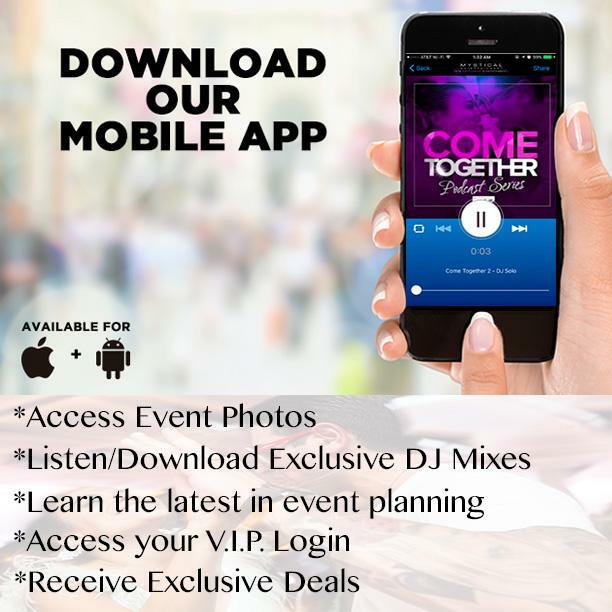 Make those closest to you feel special and more than honored to stand next to you as you tie the knot with your sweetie!